"Sometimes new technology is the pivot point to being able to accomplish a new kind of construction; and sometimes it's something simple that makes us just a little more efficient in our daily lives. Either way, I'm interested in it." Sparked by his first LEGO set, Brian was four years old when he knew he wanted to be an engineer. 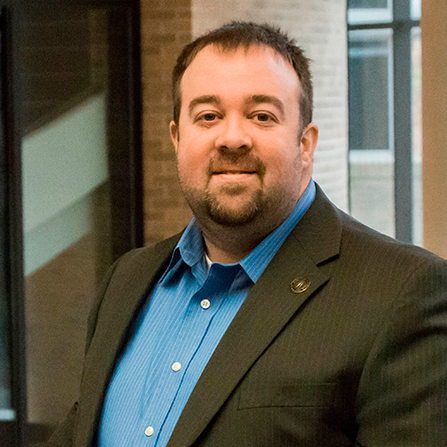 He joined Bolton & Menk in 2005 as a municipal engineer responsible for project management, planning, and design, with expertise in trenchless technology, cured-in-place pipe, asset management, and UAV (drones). Brian is passionate about leveraging and using new technology. "Sometimes new technology is the pivot point to being able to accomplish a new kind of construction; and sometimes it's something simple that makes us just a little more efficient in our daily lives. Either way, I'm interested in it," says Brian. "I appreciate that Bolton & Menk is a leader in such things and I intend to do my part to keep us at the cutting edge."